Lock in a great price for The Moorings Guesthouse & Seafood Restaurant – rated 9.3 by recent guests! The bedroom was fabulous - 5 star accommodation . The location in the middle of town made for the perfect spot to catch the boat to Skellig Michael. We used the hotel restaurant for dinner and breakfast both were very good. The rooms were comfortable and quite large. The family-run hospitality was awesome. Adam, the 20-year old was such a delightful historian with younger brother and sister helping him out. The locals come to dine and dance. The fresh seafood was superb. The location is great for touring Valencia Island and its spectacular views. Great place to stay, really nice staff and facilities were great. Also the bar was great with live Irish music and dance and really nice food. Would go back. The Moorings Guesthouse was chosen for location across the street from the marina. We were taking a boat trip to Skellig Michael the next morning and liked that we would be able to just walk across the street to meet our boat. 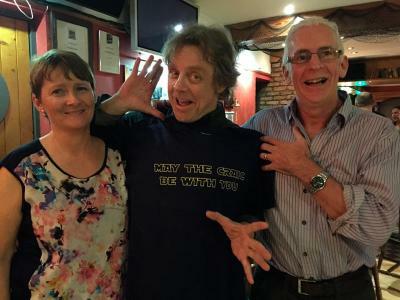 What we didn't realize and were extremely pleased with was how the staff worked with the boat operators to Skellig Michael. They checked in and were able to find out if the boats would be able to make the landing as that sometimes doesn't happen due to sea conditions. Because of this we were able to enjoy breakfast a little longer than we expected and it made for a more relaxing morning than I had anticipated. We were also able to order bag lunches to take to Skellig Michael, though we didn't eat the entire lunch because it was so generous (saved some items for later in our trip). We were just in town overnight for a skelling island tour in the AM. We were very pleased w/ our stay. We were a bit surprised w/ just how nice the room was. The restaurant next door was really good too. Everything about the facility was perfect for our visit! The meals were delicious and some of the best that we had throughout all of Ireland and the bar was lots of fun with the music and dancing on the weekends. The staff was extremely helpful and friendly! The family room (one twin and one full size bed) seems to have been recently added or renovated so mostly everything was new and clean. It was in the back of the building so getting back there from the front was like a maze. we were told about the back entrance, so getting the luggage upstairs was easier from there. The full size bed was the most comfortable bed I had slept in, up until that point (10 days, 5 B&B later). The staff was extremely helpful and courteous. The breakfast had a wonderful selection including the traditional Irish breakfast. Would have stayed another night if I could! Loved the little seaside town feel. Rooms were decorated nicely. It seemed like an older hotel but not dated at all. We had a great view. The breakfast in the morning was excellent, I had trout. Perfect location for taking one of the Skellig tours. The fish at the restaurant was fresh and tasty. 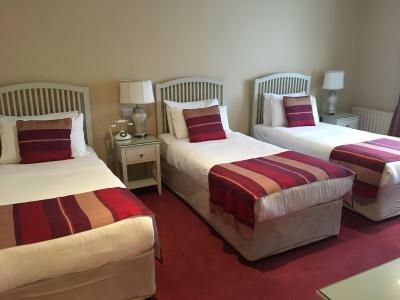 The Moorings Guesthouse & Seafood Restaurant This rating is a reflection of how the property compares to the industry standard when it comes to price, facilities and services available. It's based on a self-evaluation by the property. Use this rating to help choose your stay! 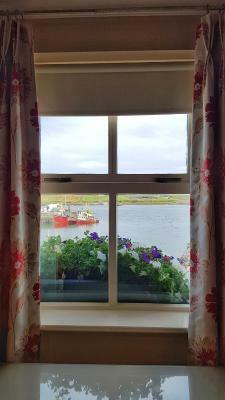 One of our top picks in Portmagee.Overlooking Portmagee’s busy harbor, The Moorings Guest house is just a 30-second walk from the pier, offering elegant rooms with marble bathrooms. 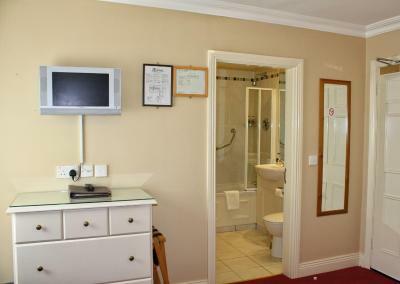 Some rooms feature luxurious hot tubs and king-size beds. 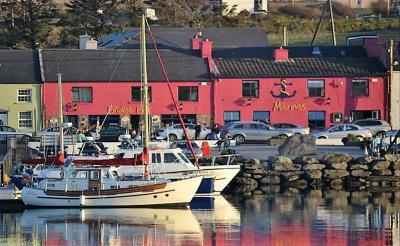 Serving freshly caught seafood from Portmagee’s harbor, Moorings Restaurant offers nightly specials, excellent Irish beef and locally produced vegetables. 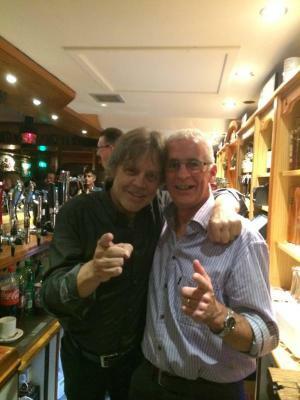 The Bridge Bar provides award-winning food and traditional Irish music and dancing. 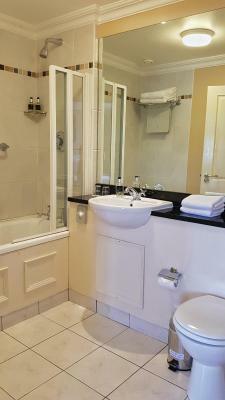 With luxury toiletries, each bright and modern room at The Moorings provides an private bathroom with a shower and large mirrored wall. 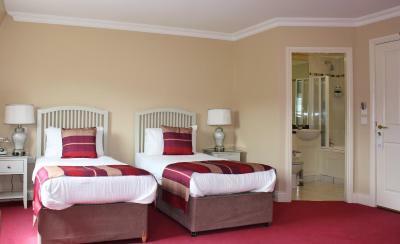 Guests can relax with tea/coffee facilities and satellite TV. 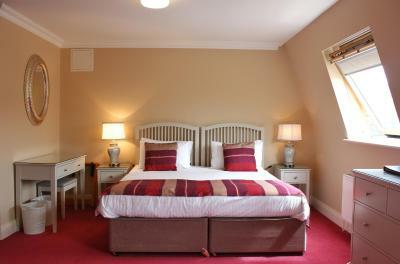 Some rooms feature spa baths and king size beds. 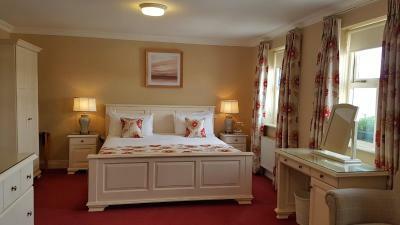 When would you like to stay at The Moorings Guesthouse & Seafood Restaurant? 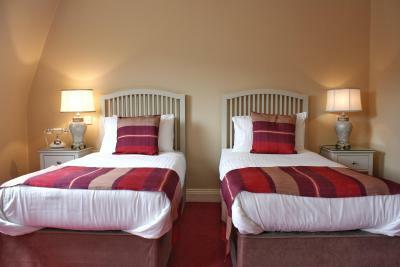 Stylish Superior Room with beautiful views over the harbor and an private bathroom featuring a luxurious spa bath. 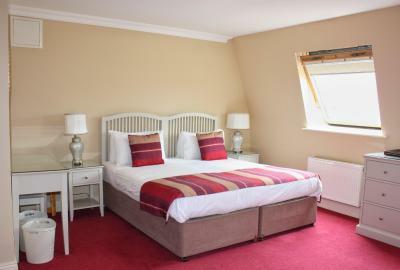 It also includes an LCD TV/DVD player and crisp white bed linen and a CD player. 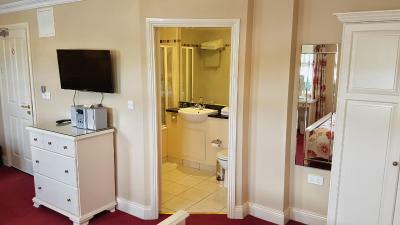 This room offers a marble bathroom with luxury toiletries, bath, shower and a mirrored wall, satellite TV, and tea/coffee facilities. Please note that some of these rooms are above the bar. 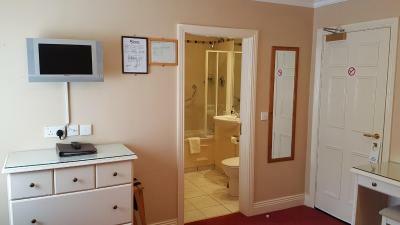 If this is not suitable, please request a quiet room when booking. 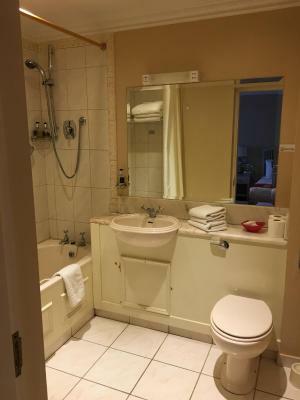 Features a marble bathroom with luxury toiletries, bath, shower and a mirrored wall, satellite TV, and tea/coffee facilities. 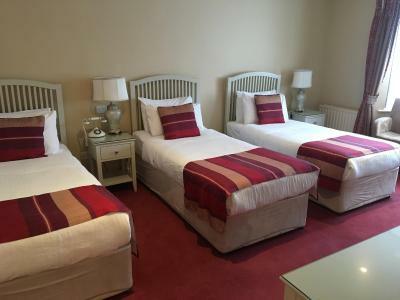 This room can accommodate a cot at no additional charge. House Rules The Moorings Guesthouse & Seafood Restaurant takes special requests – add in the next step! The Moorings Guesthouse &amp; Seafood Restaurant accepts these cards and reserves the right to temporarily hold an amount prior to arrival. The Moorings Guesthouse & Seafood Restaurant accepts these cards and reserves the right to temporarily hold an amount prior to arrival. The place, staff, food, cleanliness, everything! 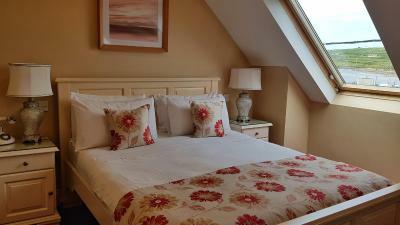 Fabulous very roomy room, tastefully decorated with lovely view over the harbour. Lovely and warm, and we were given a great welcome and explanation of facilities on our arrival. We enjoyed dinner from the bar menu in the evening and breakfast was excellent as well. 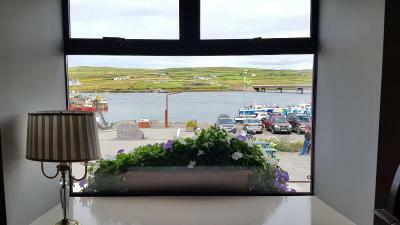 This was a great little hotel right on the waterfront in Portmagee. We stayed 1 night as we had an early morning boat trip booked to the Skelligs, which left literally from their doorstep. There is a lovely little pub/restaurant attached to the hotel and breakfast was good. Marvellous place ! Staff very friendly ! Good cooking. Excellent breakfast. The location was the reason we booked at this place but we paid far too much for this!!! Location location location! Hot powerful shower. Large comfy bed. The view of the harbour is stunning & the highlight of the trip. And the food in restaurant downstairs wonderful. Highly recommend traditional fish & chips. The room was lovely and spacious and hotel is beautiful! We had a lovely stay in this beautiful town. This lovely little Hotel directly in front of the little harbour was perfect for our stay! Also the absolutely caring staff made our stay unforgettable.